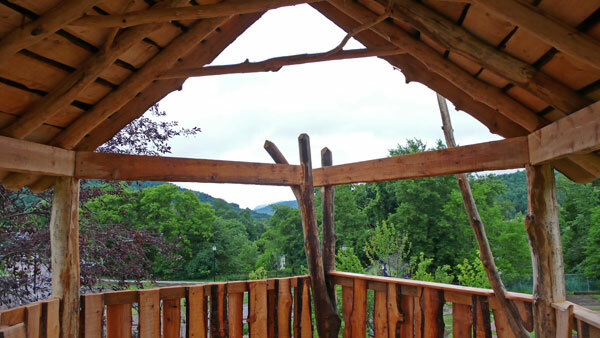 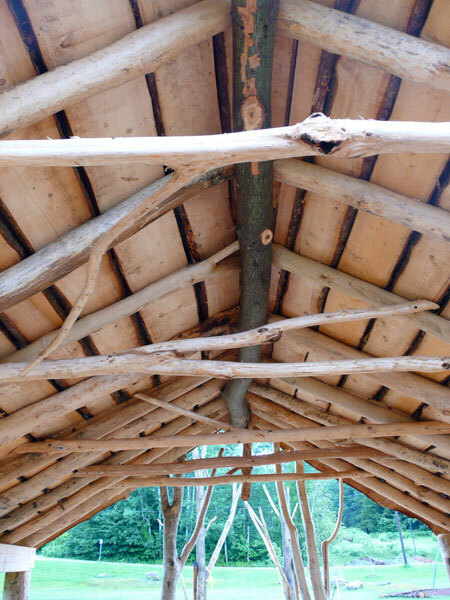 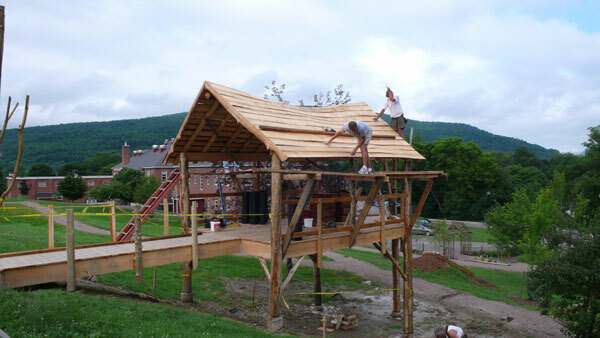 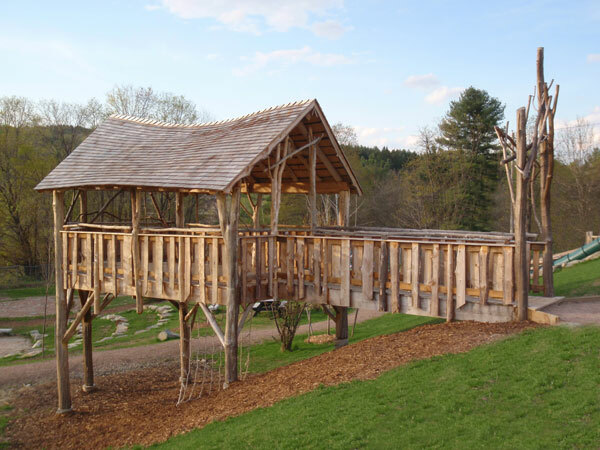 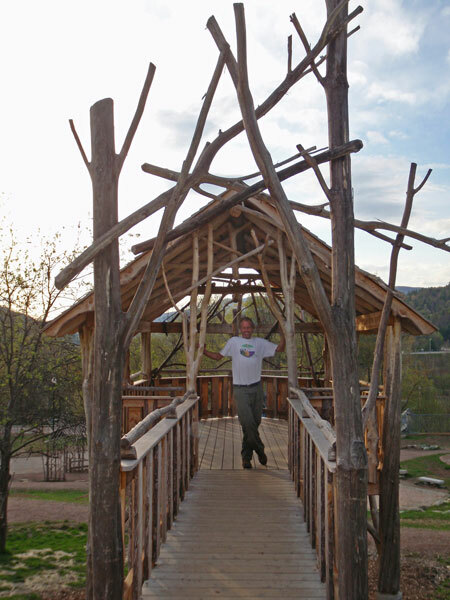 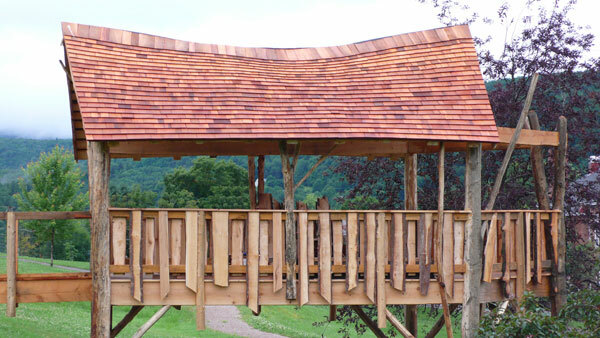 Thatcher Brook Primary School Waterbury, Vermont – During the transition of the school’s old fashioned playground into a “natural playground” the concept of a universally accessible treehouse seemed to be a perfect fit. 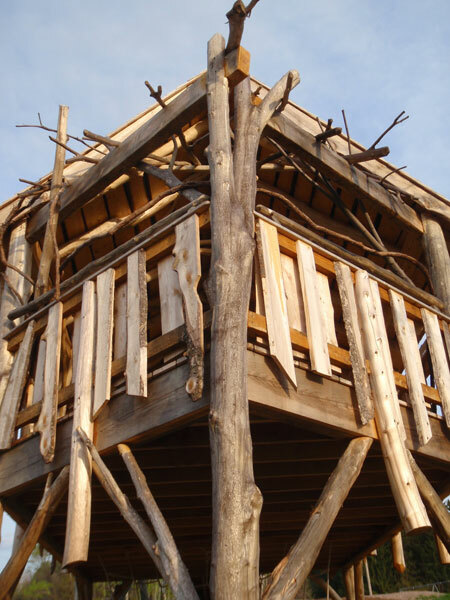 The only catch was – there were no trees on the playground to support it. 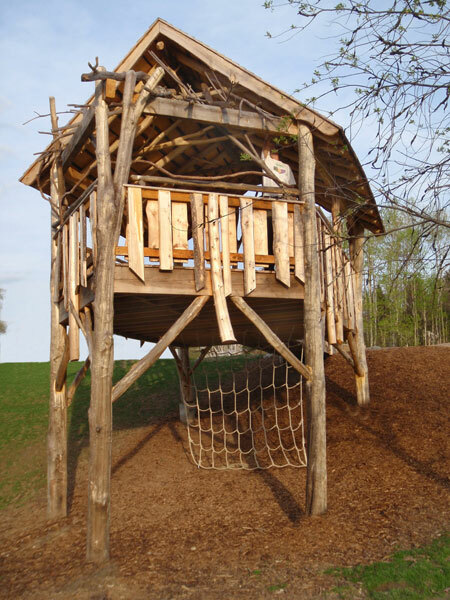 No problem!… We imported local Maples from a neighboring parent’s back yard to build the treehouse to overlook the new playground.